I’ve written before about the fundamental challenge of human-powered vehicles – whether they’re conventional bicycles or unconventional recumbent two or three wheel machines. And what is that challenge? It’s the limited amount of power available to push the vehicle along. Everything about the machine needs to be designed to operate within this finite power paradigm. Unlike say a car, where the answer to bad design is to simply add more power to propel the extra weight or overcome the extra aerodynamic drag, on a bike you cannot take that easy route. Thus a bike is the most efficient means of transport ever developed. That is, it uses less power to move you than any other approach – even walking. Part of that development has been the engineering of efficient gear systems. 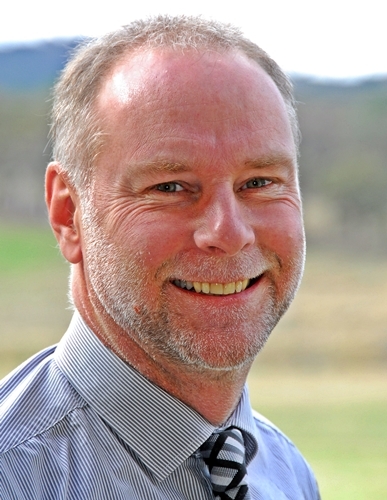 Unlike in a car, where rear wheel dyno figures often show a 30 per cent power loss between the flywheel and the road (that power loss made up of inefficiencies in the gearbox and differential, and the flexing of the tyre over what is usually a pair of small diameter rollers), in a bike the gearing system losses can be measured at being less than a few per cent. That is, often 98 or 99 per cent of the rider’s power is transmitted to the back wheel. And with the use of relatively large diameter wheels and high pressure tyres, the amount of power transmitted to the road is scarcely less. All bikes use at least one system of gearing – that created by the different sizes of the front and rear chain cogs. But most bikes use a more sophisticated system than this – variable gearing, achieved by either an internally geared rear hub (eg a 3-speed hub) or derailleur gearing, where the chain is forced to move to a different sized front or rear cog. Derailleur gear systems are more efficient than planetary-based internally geared hubs. Recently, I read a brilliant engineering book on bicycle gearing. Called The Dancing Chain, it is subtitled: History and Development of the Derailleur Bicycle. However, it is much more than that, covering gearing systems from the very first bicycles to current machines. Written by mechanical engineer Frank J Berto, the large and detailed book (more than 1000 diagrams over its 400 pages!) 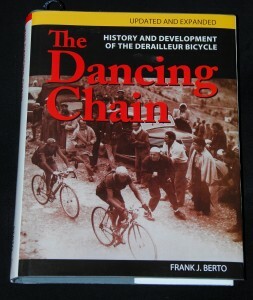 reflects the author’s 35+ years of writing about bicycle gearing and a clear life-long interest in bicycles in general. I found it a fascinating read, able to be perused on all sorts of levels – from reading it as a technical history of a specific engineering innovation, right through to gaining practical advice for current cyclists. Despite being the ‘updated and expanded’ edition, the book has several major typos and in part needs better editing. It’s also not cheap – but I highly recommend it. 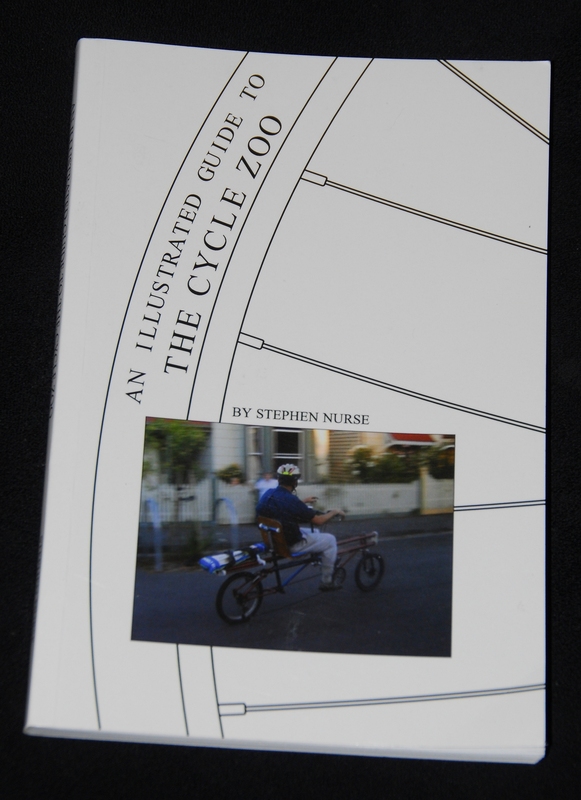 And if you’re interested in bicycle design, another book worth checking out is An Illustrated Guide to The Cycle Zoo, a self-published book on alternative bike design by another mechanical engineer, Stephen Nurse. 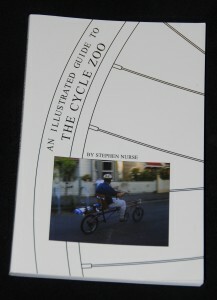 A paperback of about 120 pages, the book covers alternative bikes that arguably can give much better on-road results than traditional upright, diamond-framed machines – recumbent bikes, trikes and tandems. Read the book as a detailed guide to these machines and it can be a bit frustrating, but read the book as a sourcebook of ideas, information and diagrams and it’s much more satisfactory. Stephen is to be congratulated for writing and publishing a book on a topic so seldom covered, but for anyone heavily into these machines the book will be a bit simple, and for anyone just wanting to learn about what these types of bikes can do for them, the book assumes a bit too much knowledge! But if for example you’ve read in AutoSpeed about our recumbent pedal trike designs and would like to learn a bit more about these alternative forms of human-powered machines, it’s worth a read.